Thus, for a person to be given by the court a “writ of amparo” there must be a direct threat to his life. If “writ of amparo” is a “a remedy for the protection of right to life, liberty and personal security”, so how can the court give a “writ of amparo” to a person if there is no direct threat to his life, liberty and personal security. “The Court of Appeals (CA) allowed the cross examination of former Iglesia Ni Cristo (INC) minister Lowell Menorca during the resumption of the hearing on the petition for Writ of Amparo he filed against some leaders of the religious group. In response to this, the INC lawyer pointed out to the justices of CA 7th division that there were several instances when Menorca was able to go shopping and visit the Philippine Arena in Bulacan. “On the alleged physical restraint, Vinluan pointed out to the CA several instances when Menorca was able to go shopping and visit the Philippine Arena in Bulacan. Another photo presented in the hearing is the one that was shot during the birthday celebration of Menorca’s wife, Jinky, where Menorca was with 21 visitors inside the compound. The INC lawyer also shown several requests made by Menorca’s camp while in the custody of INC, including being allowed to watch cable television and to go to a gym. “Petitions for a writ of amparo and a writ of habeas corpus filed by expelled Iglesia ni Cristo (INC or Chuch of Christ) member Lowell Menorca are in danger of being junked by the Court of Appeals (CA). Menorca was only cross examined last January 26. He should have been subjected to cross-examination a week earlier, but while on his way to the court, he was arrested in Manila by members of the Manila Police District by virtue of warrants of arrest issued by courts in Marawi City and Lanao del Norte. Thus, the result of the cross examination of Menorca only shows that INC has nothing to do with Menorca’s arrest and there is no truth in the allegation of Menorca’s camp that INC made Menorca arrested last week to prevent him to attend the hearing and be cross examined. So, who benefited from the arrest of Lowell Menorca II last week? 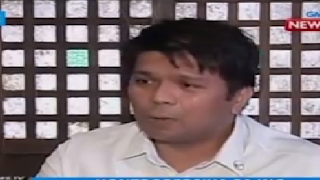 Menorca himself, because of this his cross examination was delayed for a week – they knew that INC lawyers were fully prepared to grill Menorca. As we have seen, when the cross examination was resumed, the result was not in favor of Menorca, but instead his petition for “writ of amparo” was in danger of being junked after he admitted in open court that there is no overt and direct threats from church officials to physically harm him and his family. Sa ibang araw iba na naman sasabihin nyan. Nahuhuli sa sariling bibig mahusay magtali tali ng kasinungalingan. Bakit kaya sabik ito pag usapan sa media? Nag artista nlang sana. Tumigil na kayo mga kampon ng kadiliman Menorca aka Antonio Ebanghelista et al.